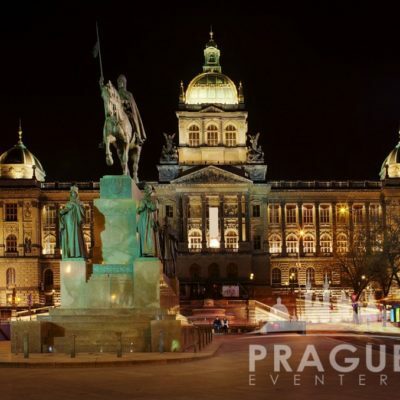 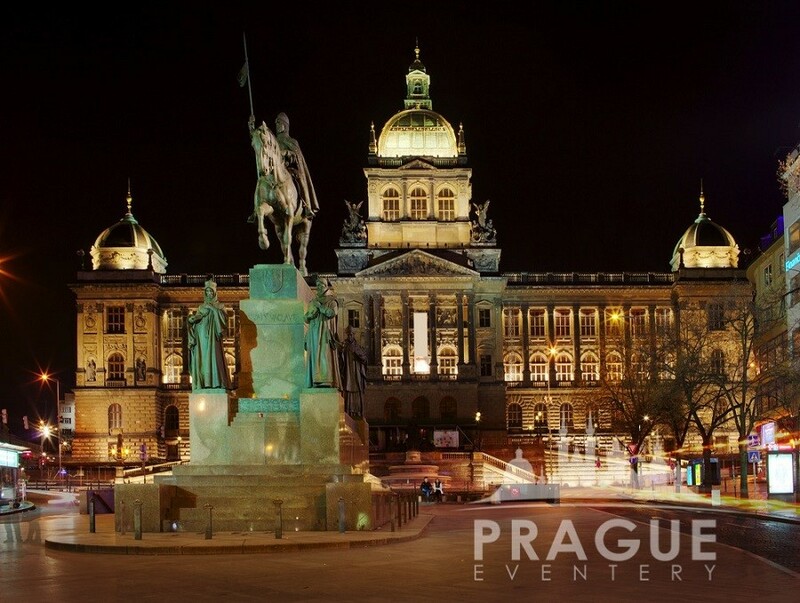 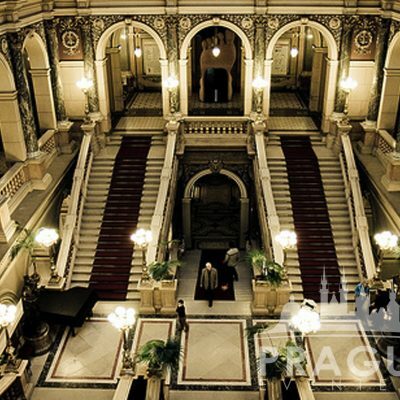 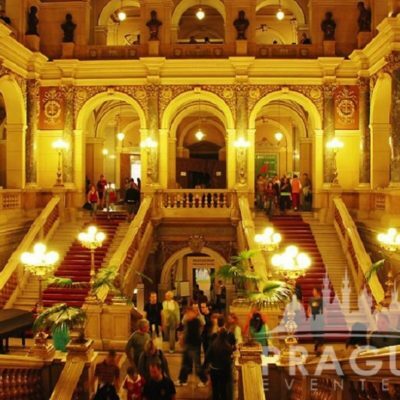 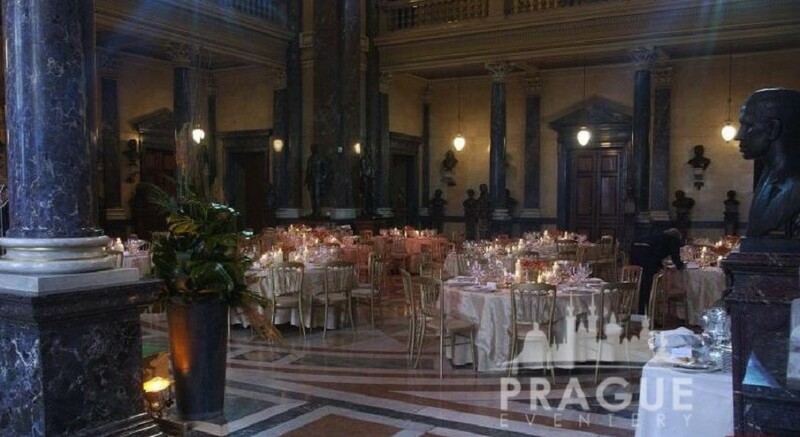 Next » "Prague Castle - Spanish Hall"
This imposing Prague Venue, with a façade of more than 100 meters in length, is located on the Wenceslas Square in the New Town. 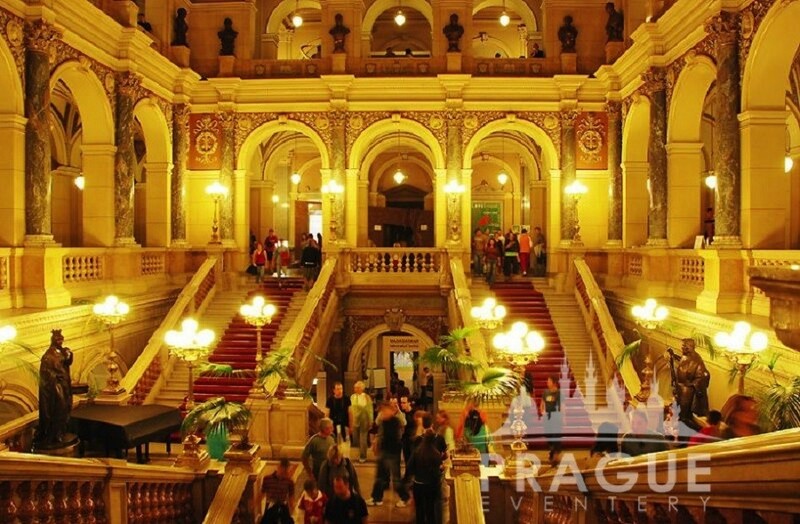 It was built in 1885-1890 according to plans by architect Josef Schulz. 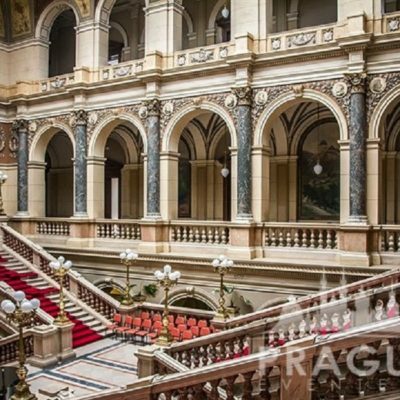 The founding of the National Museum should be seen in the context of the times, where after the French Revolution, royal and private collections of art, science, and culture were being made available to the public. 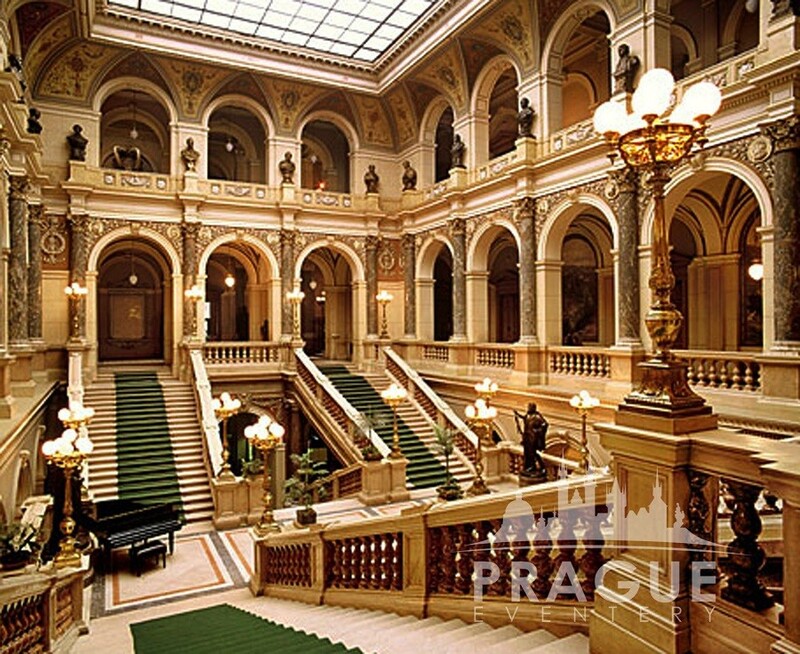 The beginnings of the museum can be seen as far back as 1796, when the private Society of Patriotic Friends of the Arts was founded by Count Casper Sternberk-Manderschied and a group of other prominent nobles. 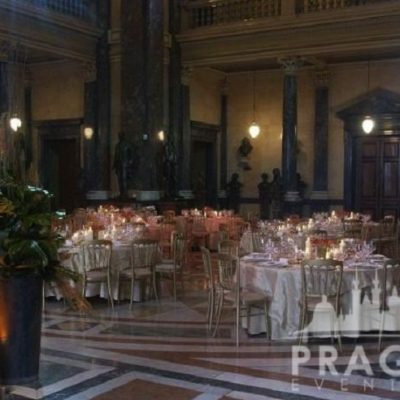 The avowed purpose of the society was “the renewed promotion of art and taste”, and during the time of Joseph II, it would be adamantly opposed to the King. 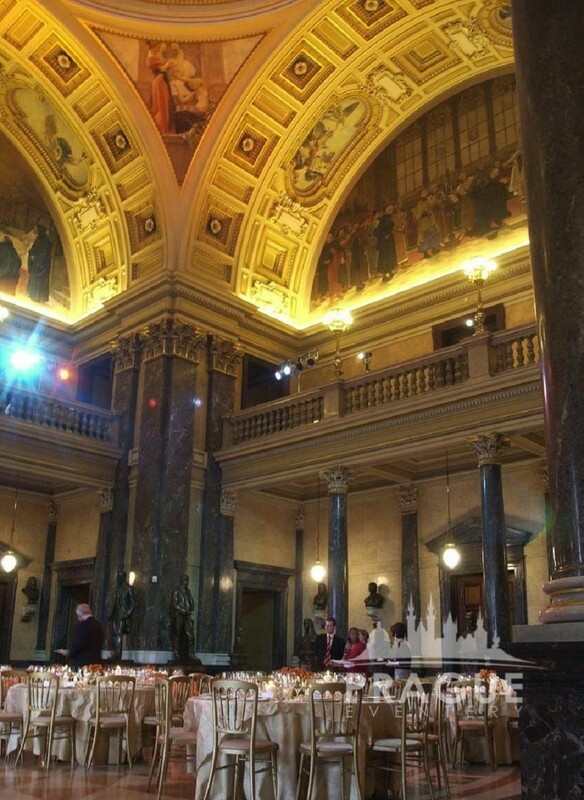 In 1800 the group founded the Academy of Fine Arts, which would train students in progressive forms of art and history. 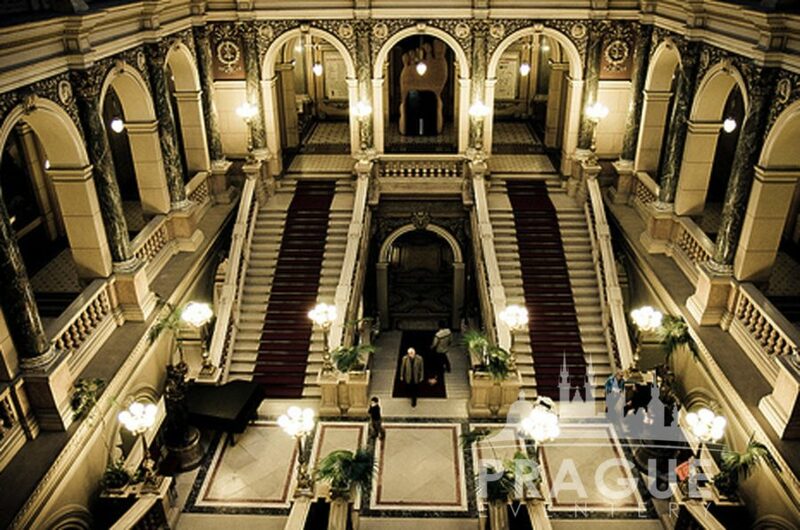 The Museum as an institution was founded in 1818 by the Society of the Patriotic Museum in Bohemia, which also started publishing a museum magazine in 1827. 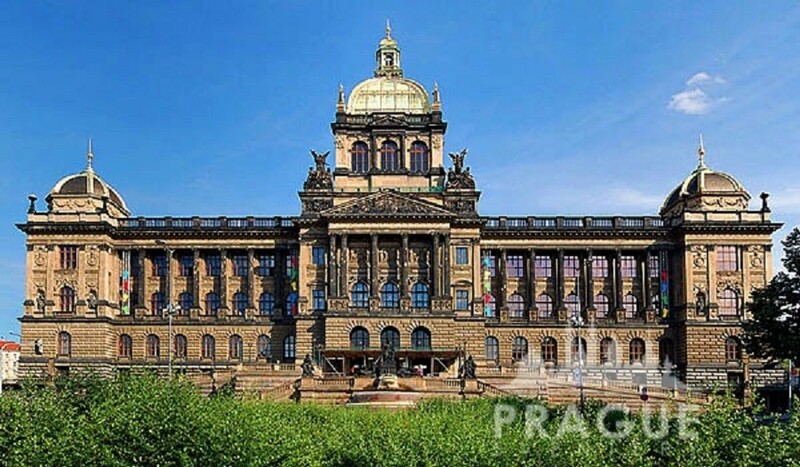 The National Museum belongs amongst the top neo-Renaissance buildings of the second half of the 19th century in all of Europe and a very imposing Prague Venue. 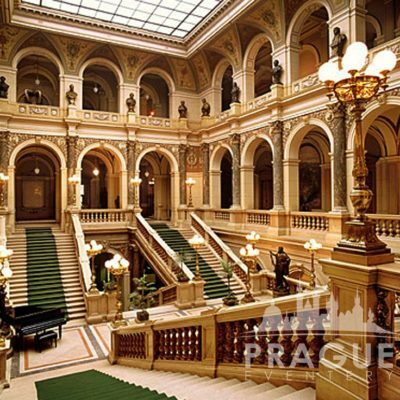 Apart from objects of Czech historical and natural history interest one of the most valuable parts of the museum is the library, which contains nearly one million books and precious medieval manuscripts. 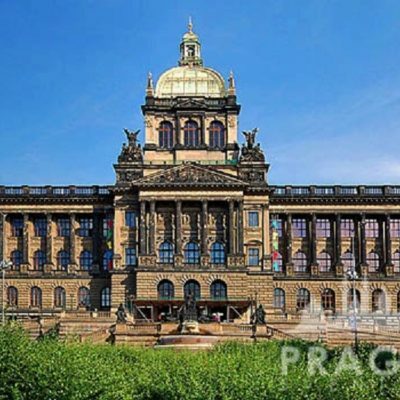 The National Museum is built on the site of the former Horse Gate, so named because Wenceslas Square once served as the main Prague horse market. 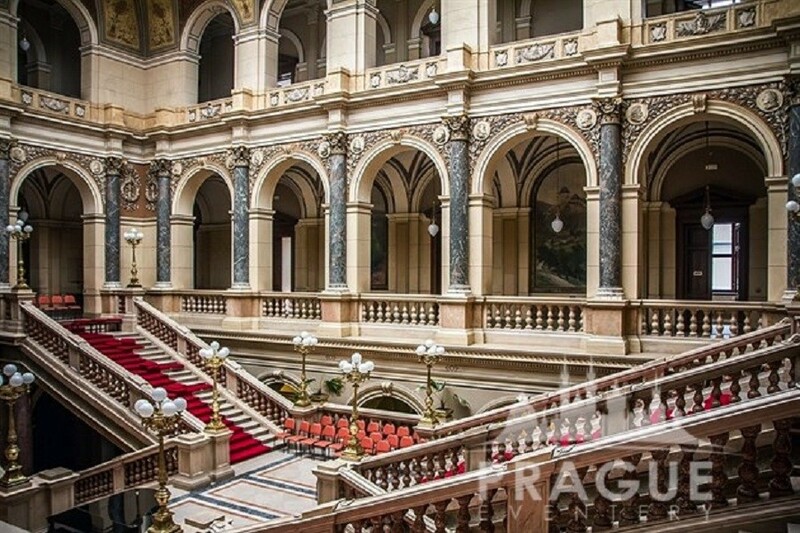 Its entrance hall is grand, with sweeping staircases and intricate stonework. 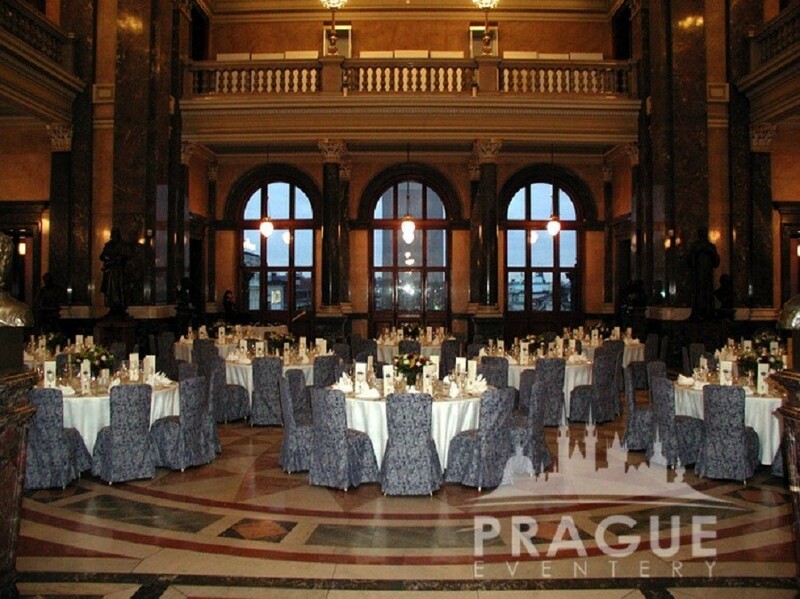 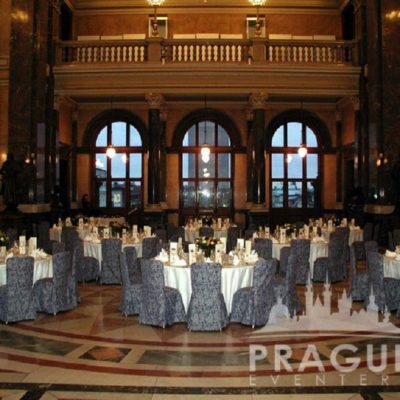 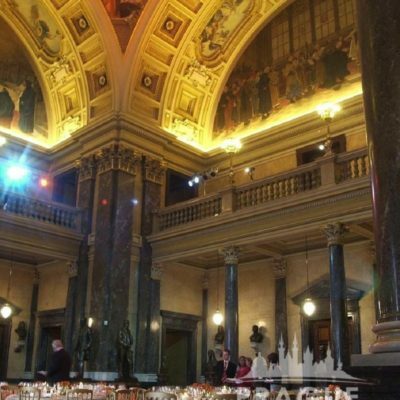 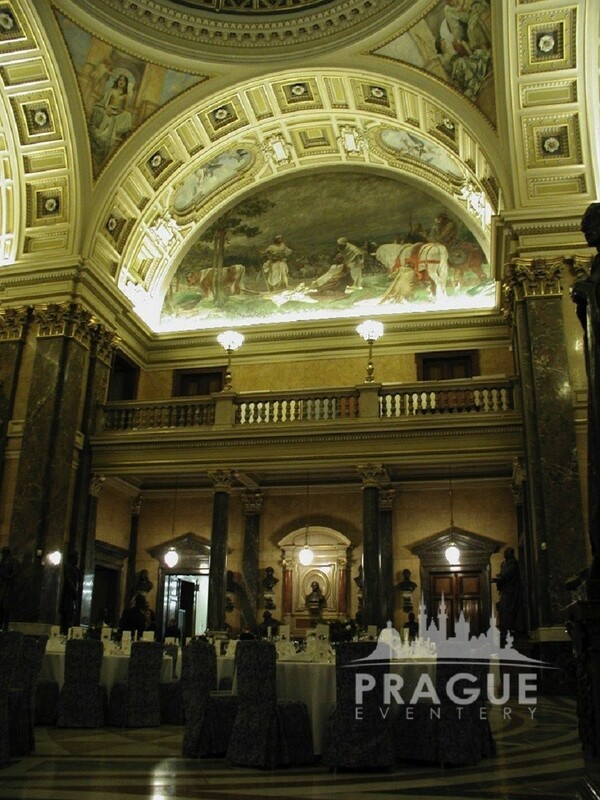 There are also beautiful frescos on the ceilings which make it an ideal Prague venue for many types of events and programs.